Wendell R. O'Neal, Ph.D., DABCC, FACB is a clinical laboratorian with a diverse background in laboratory administration, government affairs, diagnostics marketing and technical operations. He has held senior management positions in consolidated laboratory systems, hospital laboratories, the diagnostics industry, and a large independent laboratory. Through active involvement in professional societies, government bodies and job assignments, he has been an active participant in developing, interpreting and implementing laboratory policy. Dr O’Neal is Executive Vice President for Business Operations at PGXL Laboratories, a laboratory engaged in facilitating personalized medicine. He did his B.A. in Chemistry at Southern Illinois University, and received a M.S. in Clinical Chemistry from the Department of Biochemistry and Biophysics of the University of Rochester. Following two years at NIH, he earned a Ph.D. in Clinical Chemistry from Loyola University of Chicago in 1974. He spent four years as a hospital based clinical chemist while holding a faculty appointment at the University of Connecticut Health Center. 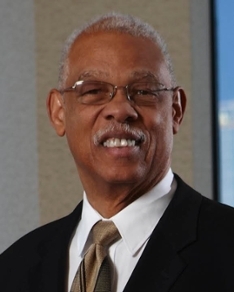 After spending 14 years with Dupont Medical Products, he joined SmithKline Beecham Clinical Laboratories as Technical Director of the Philadelphia Laboratory, and later served that company as Director, Technical Communications and Regulatory Affairs. During the spring semester of 1996, he served as Special Consultant to the Provost at Temple University. While he served as Vice President, Alliance Laboratory Services (ALS), Cincinnati, OH, that laboratory became the largest hospital based consolidated laboratory system in the country. Following the sale of ALS to LabOne, he was Executive VP of LabOne’s Ohio subsidiary, and then Sr. VP, Corporate Relations for the parent company. In his consulting practice, The WHISK Group, he advises and assists hospital systems and laboratories on strategy, structure and efficiency.